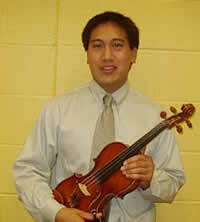 Mr. Leung studied at Kansas University and received a bachelor’s degree in music education in 2002. In 2008, Mr. Leung received his master’s degree in music education from University of Maryland. Mr. Leung plays the violin and the piano. He studied violin with Ben Sayevich at the University of Kansas. His piano teachers and professors include Berta Eisberg, Richard Angelleti, and Alice Downs. In addition to directing his school orchestras, Mr. Leung is a director for the Howard County Gifted and Talented Middle School Chamber Orchestra. He has held this position since 2004. Mr. Leung has guest conducted, adjudicated, and directed throughout the state of Maryland. Under his direction, Mr. Leung’s ensembles have performed at state and national events with high accolades, including at MMEA conferences in Baltimore, Maryland and the Midwest Clinic in Chicago, Illinois. In his personal life, Mr. Leung enjoys spending time with his wife Marie and two children Peter and Anna. He also enjoys mountain biking, running, and hanging out with his 20-pound cat, Kronos. A native of South Korea, Mr. Kim earned his Bachelors majoring in Violin from Han Yang University in Korea, where he served as concertmaster in his senior year. He came to the Peabody Conservatory of Music in Baltimore and studied with two world-renowned violinists, Mr. Berl Senofsky and Ms. Shirley Givens. He had orchestra repertoire training with Mr. Herbert Greenberg, who was concertmaster at the Baltimore Symphony Orchestra. Mr. Kim received his Masters Degree and Graduate Performance Diploma majoring in Violin from the Peabody Conservatory of Music. He has had the opportunity to work with several performing groups in the Baltimore-Washington metropolitan area including the Annapolis Symphony Orchestra, Goucher Chamber Orchestra, Baltimore Chamber Orchestra, Concert Artist of Baltimore, Maryland Symphony Orchestra, and Washington Metropolitan Symphony Orchestra. His string quartet group appeared at the Maryland Governor’s Gala Concert and his trio group was invited to play in the Eastern Chamber Music Society. 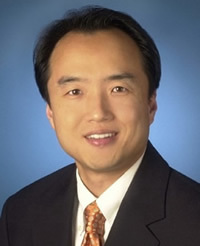 Mr. Kim was the founder of the Columbia Camerata Musika, a professional string orchestra group, and the executive director of the Washington Metropolitan Symphony Orchestra. Chris Fyhr currently serves as the Director of Orchestras and Music Technology at Long Reach High School in Columbia, Maryland. He holds an Undergraduate Degree in Violin Performance from the Mason Gross School of the Arts at Rutgers University and a Masters Degree in Music Education from the Peabody Institute of the Johns Hopkins University. His violin teachers include Brennan Sweet, Matthew Reichert, Richard Clark, Joey Corpus, and James Gaskill. He has studied violin pedagogy with Rebecca Henry and Ronda Cole. 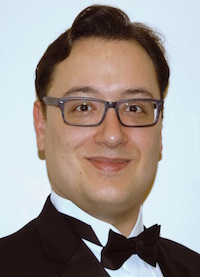 Mr. Fyhr is an active freelance violinist in the Baltimore/Washington area, where he performs regularly with area orchestras including Alexandria Symphony, Washington Concert Opera, Sidney's Orchestra, Washington Sinfonietta, and Ars Nova Chamber Orchestra. Mr. Fyhr frequently serves as a judge for Orchestra Adjudications and Solo & Ensemble Festivals throughout the state of Maryland, and has previously served as Guest Conductor for All County Orchestras in neighboring counties. In addition to his classical background, Mr. Fyhr has also completed formal training in music production, sound design, and DJing through Berklee College of Music in Boston and Dubspot in New York City and is actively involved in the local music production and DJing communities. Mr. Fyhr also enjoys writing and recording metal and progressive rock, and has been involved with several regional progressive rock acts as both a guitarist and a violinist. In his spare time, Mr. Fyhr enjoys relaxing with his wife Alexandra, daughter Zoe, and their two miniature poodles. Mrs. Bonnie Zeitler is a string specialist in the Howard County Public School System and is currently directing a program of over 230 string students at Manor Woods Elementary School. She has taught in multiple middle and elementary schools in Howard County since moving to Maryland in 2003, but has been at MWES since 2006. She is delighted to be back working with the Howard County Middle School Gifted and Talented Sinfonia after co-directing it at its inception. Mrs. Zeitler is a sought after guest-conductor, as well as a judge for Orchestral Adjudications and Solo & Ensemble Festivals in many counties and the state level. 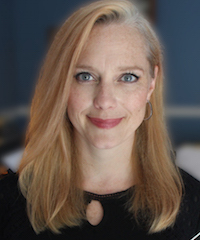 Mrs. Zeitler has served as representative for Howard County’s Music Leadership Team and a guest lecturer for professional development sessions teaching other music educators. Mrs. Zeitler has maintained a private violin and viola studio for over 25 years and is a sectional coach for one of the Baltimore Symphony Youth Orchestras. She conducts orchestras at multiple music camps each summer including the Marriotts Ridge High School Music Camp. Mrs. Zeitler began playing the violin at age 4. She studied in San Francisco, New Orleans, San Diego and here in the Baltimore area and was the concertmaster of multiple university orchestras. Her music education programs featured special focus on both chamber music and cross-cultural language and development. She lives in Carroll County, Maryland with her husband and two sons, who are also musicians.